The term Technical carries huge and diverse history, let’s take this term for the auto industry. The person inventing the wheel could be called as the first technical person of the auto industry and now this single term technical has touched the sky and still the advancements are showing that sky is not the limit. You might have heard this thing ‘technical car’, so what do you infer from this? A huge iron mass built up by technology and that itself helps you on the roads as a technology and now calling some specific models as technical seems not to be a justice. Let me show you the true meaning of technical, though every vehicle is a technical product but the one bringing the latest technologies and comforting its user by bringing some new technological innovation is a technological car, according to my opinion. So the technical car is one that is best for you in terms of its technology and that can bring great comfort for you, especially for your pocket. Nowadays a technical car is considered the car that can give perfect mileage along with lower fuel consumption and faster speed and performance. So let us discuss some of the dashing technical models of 2010 that can become an option for you if you are looking to buy a new car for you. In the category of small and compact sedans we are quite habitual of seeing the models of Honda or Toyota but this time Hyundai has brought something this is truly appreciable. The latest generation of this small sedan has got the style and technology that can give it a place in the list of top cars. 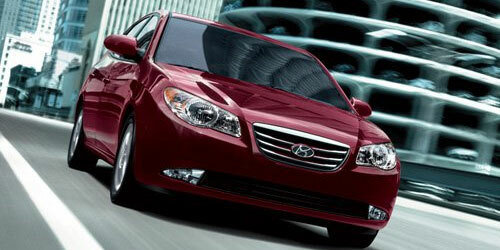 According to some estimates this model ranks 7 out of 31 affordable small sedans of this year. From the inside this car is very comfortable and offers some extra space to ensure the complete ease during the long journeys. It comes with a 2.0 liters L4 engine that can give power up to 138hp at 6000 which is not too much remarkable but nice for a car of such a level. It can give 35 miles per gallon on the highways which shows that the mileage is pretty nice, with that it also comes with a nice choice of transmissions and that is actually a step towards the perfect fuel economy. 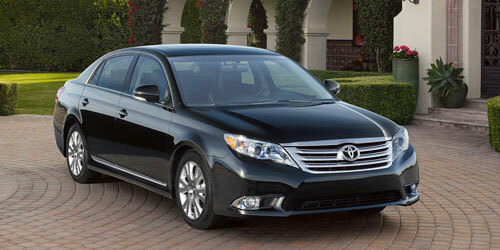 Now comes the turn of large technical cars of this year and I am giving this credit to Toyota because this model of Toyota Avalon deserves to be here. According to some estimates this car ranks 1 out of the 8 affordable large cars of 2010 that are also blusterous in their technological orientation. The latest model comes with 3.5-Liter DOHC 24-Valve V6 with Dual Independent VVT-I engine that has the capability to give power up to 268hp at 6200rpm. This model also offers 6-speed Electronically Controlled automatic Transmission with intelligence (ECT-i) and sequential shift that can raise the power up to the highest possible level. The safety of this model gets ensured by the standard with four-wheel antilock disc brakes with a brake force distribution system to make them more powerful in panic stops. The Insurance Institute of highway has included this model in the top safety picks of year so you can trust on the safety and also on the high class performance. In the category of luxury class, Mercedes is keeping up its position like every year and this time the member of this class reaching in the top lists is the 2010 Mercedes Benz S class. 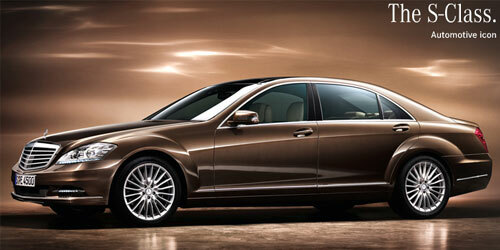 The S class is a complete blend of class and performance that everyone loves to own. BMW has brought many modern technologies into this latest series that assures the complete performance, safety and luxury. The latest technologies include: antilock brakes, stability controls, airbags and some others. There are six trim levels available for latest S class: S400 Hybrid (295-horsepower powertrain), S550 (382-hp V8), S550 4Matic (S550 with all-wheel-drive), S600 (510-hp twin-turbo V12), S63 AMG (518-hp V8) and S65 AMG (604-hp twin-turbo V12). You’ll find the class in each of these trims and this is what that is taking the S class to the highest ranking in the auto industry. 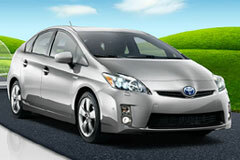 The car that deserves to be named as the number one technology car of the year is Toyota Prius that has got a redesign in the year 2010. This is the best model of hybrid cars that we have seen in this year and this could be called as the best depiction of the green cars. 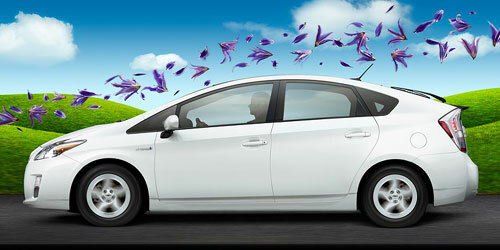 With an overall mileage of 44mpg this car has got the credit of most fuel efficient cars of the year. This car comes with Aluminum double overhead cam (DOHC) 16-valve VVT-i 4-cylinder engine that shows the absolutely stunning performance and efficiency. In terms of its safety this car is also amazing as it carries the latest technologies like: enhanced vehicle stability control, anti-lock brake system with electronic brake force distribution and some others. This model is really pleasant to drive and with that it offers roomy interiors, steady right and also the stability control. In the field of the technologically advance sports car this model has got the edge over the others. This is a very dashing sports car with great style and ultimately stunning performance. 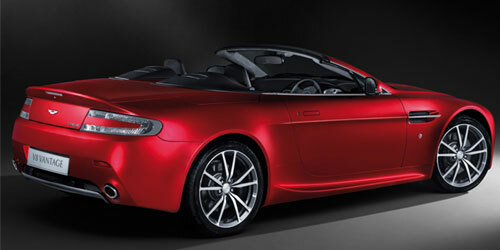 This is claimed to be the full blooded sports car and it offers a great combination of comfort, luxury and performance. The latest ones comes with 48-valve, 5935 cc V12 engine that can give the power of 350 kW (470 bhp/477 PS) at 6000 rpm and the torque of 600 Nm (443 lb ft) at 5000 rpm. The styling of this model has been done in a very elegant way and this is what we call the expertise of the brand. The handles and controls of this car are also good and overall we can say that the style and smashing performance of this car can make you rule the roads. So these were some of the technical master of the year 2010 which have got the latest technologies in their development and are giving their maximum to provide the stunning performance.